HP On Palm Acquisition: "Our Intent Is To Double Down On WebOS"
As you may have heard, HP has just announced the acquisition of Palm for $1.2 billion. It’s a massive move that HP hopes will reshape the mobile industry. I got a chance to talk with Brian Humphries, HP’s Senior Vice President of Strategy and Corporate Development, about the deal just now. “This is a great opportunity to take two Silicon Valley idols and put them together,” Humphries noted. That’s an obvious statement, but he quickly moved on to the meat. “WebOS is the best-in-class mobile operating system. Our intent is to double down on webOS,” Humphries said. That’s important. While it has been known for a while that Palm was looking for a buyer, the future of webOS wasn’t certain depending on who the eventual purchaser was. For example, when HTC was the rumored front-runner, it wasn’t clear if they would alienate their partners, Microsoft and Google, in order to use their own OS on their own devices. But HP doesn’t have the same level of conflicts. While they do have various deals with Microsoft and Google, they are not the major player in mobile that HTC is. With this deal, obviously, they hope to change that. I asked Humphries to expand a bit about webOS and how it stacks up to rival mobile OSes made by Apple and Google. I also asked why HP wouldn’t just develop its own mobile OS as Apple has done? “We think it’s one of the best operating systems out there today. We see nothing in development in the next 3 to 5 years that comes close,” Humphries said. 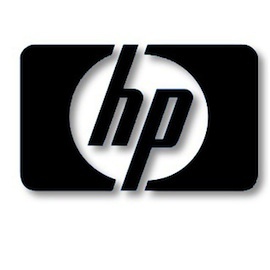 “We want to take HP’s financial strength and use it to take webOS to the next level,” he continued. “We’ll compete aggressively in the market with Apple and Google. We’ve got our hands on a very compelling operating system,” Humphries concluded. He also noted that the plan is to keep it as open and friendly to developers as it has been. He also noted that with the acquisition, HP is also getting over 1,500 patents that Palm currently controls. Those patents were thought to be a part of the reason HTC was looking closely at the company. And they very well could be the reason Apple didn’t attempt to sue Palm. Humphries wouldn’t comment on specific product plans right now, but said it’s safe to assume that the key to this deal was webOS and not Palm’s hardware — which has produced lackluster sales and placed Palm in the position where it needed to sell. That’s smart — pretty much exactly what I wrote back in October. He said it was premature to comment on Palm’s current deals with carrier partners, but I think it’s safe to say those are over and that HP will strike new ones when they’re ready. HP’s press release stated that Palm CEO Jon Rubinstein is expected to remain with the company. There had been rumors he was on his way out, along with other Palm execs. Humphries wouldn’t comment on Rubinstein specifically or the role he would now play. A HP representative also on the call simply pointed me to what it said in the release. He also noted that they’ve put thought into how to retain key members of Palm’s team. Long story short, HP just (re)entered the mobile space in a major way. And look for webOS to eventually be used across the range of HP products.